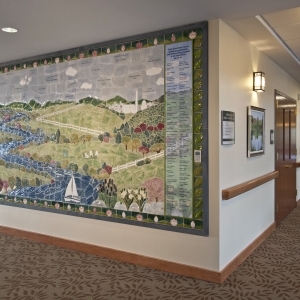 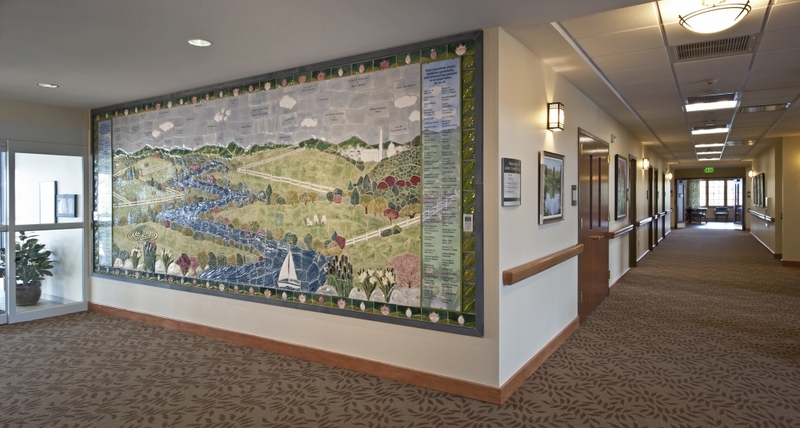 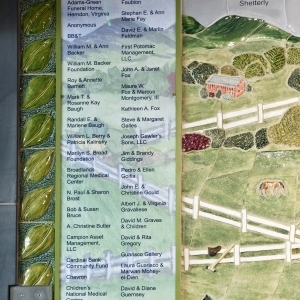 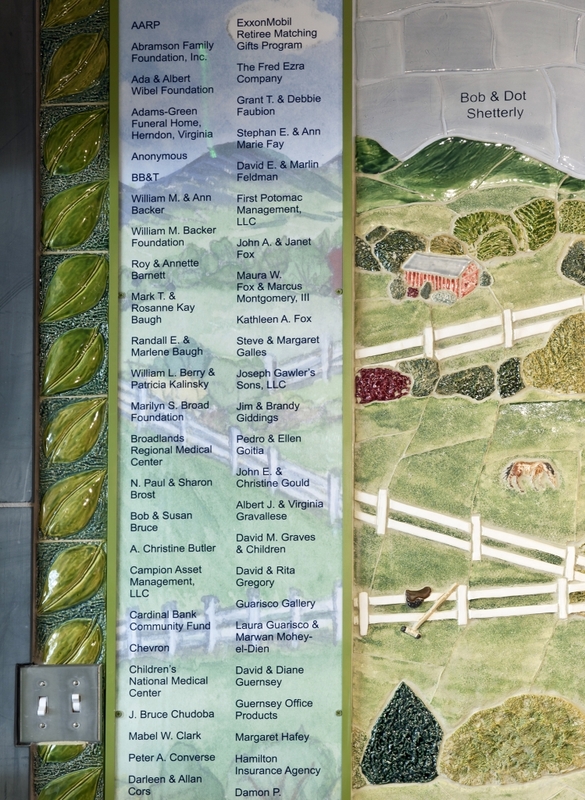 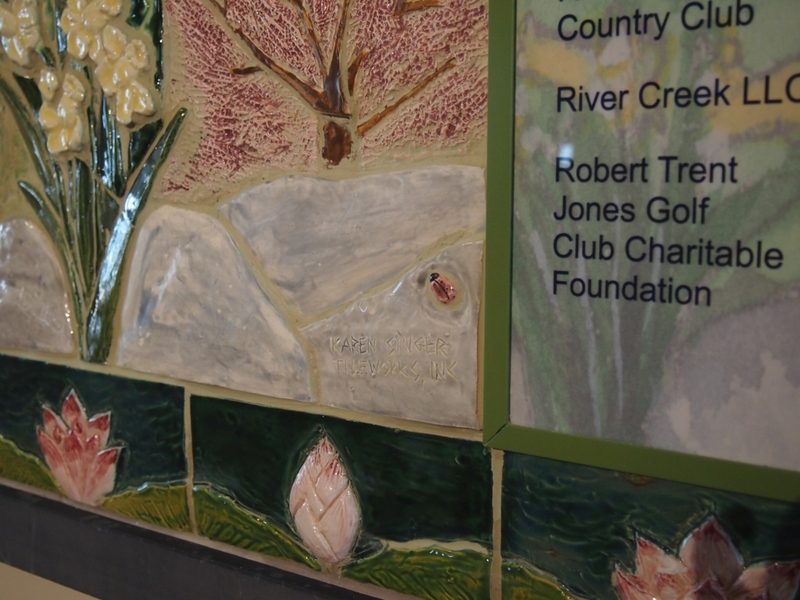 Entryway mural commissioned by Capital Caring, a premier hospice and palliative care organization, to honor the donors who made possible the first in-house hospice facility in Loudoun County, Virginia. 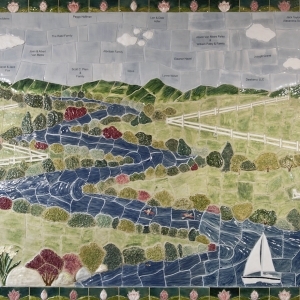 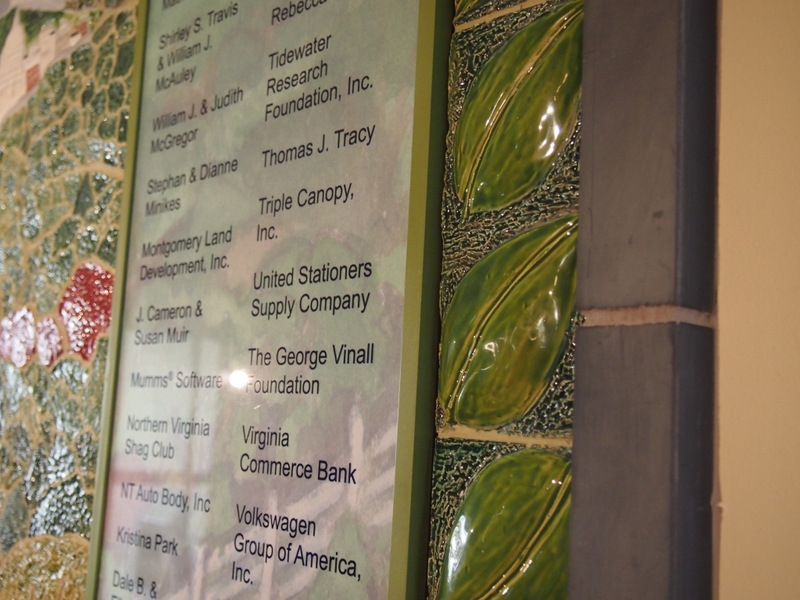 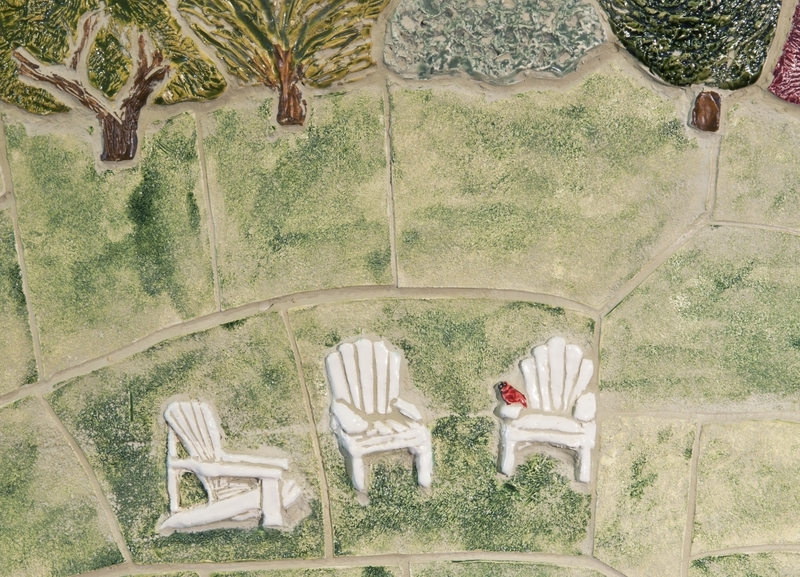 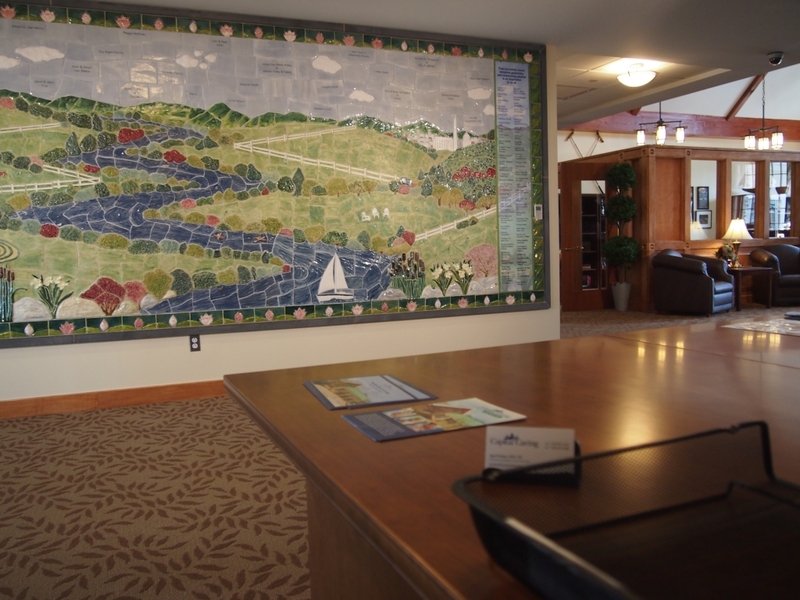 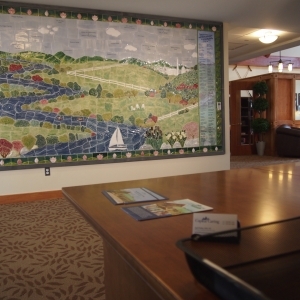 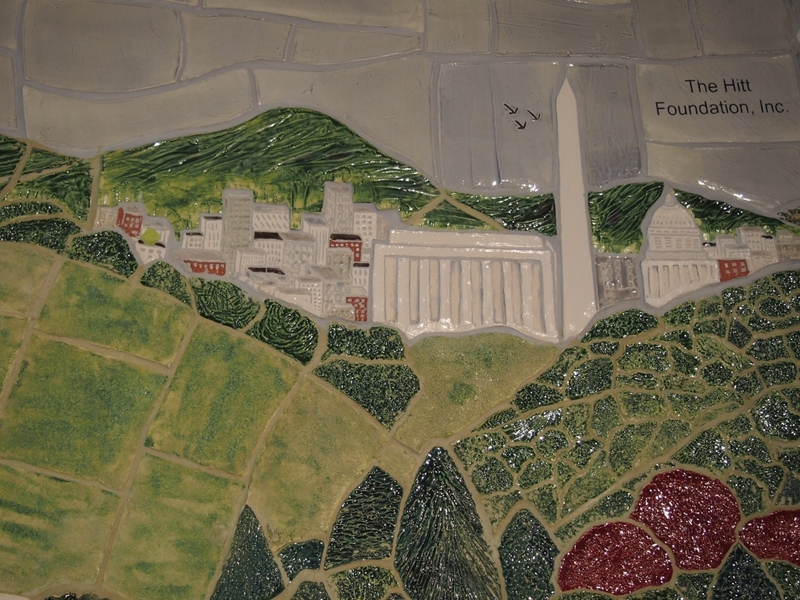 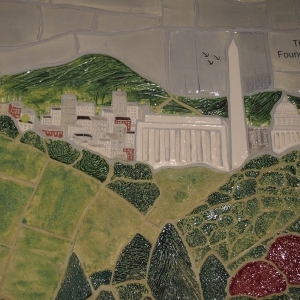 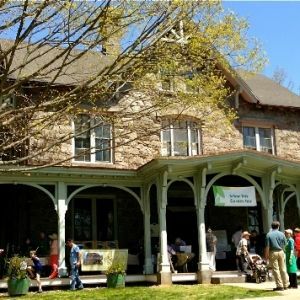 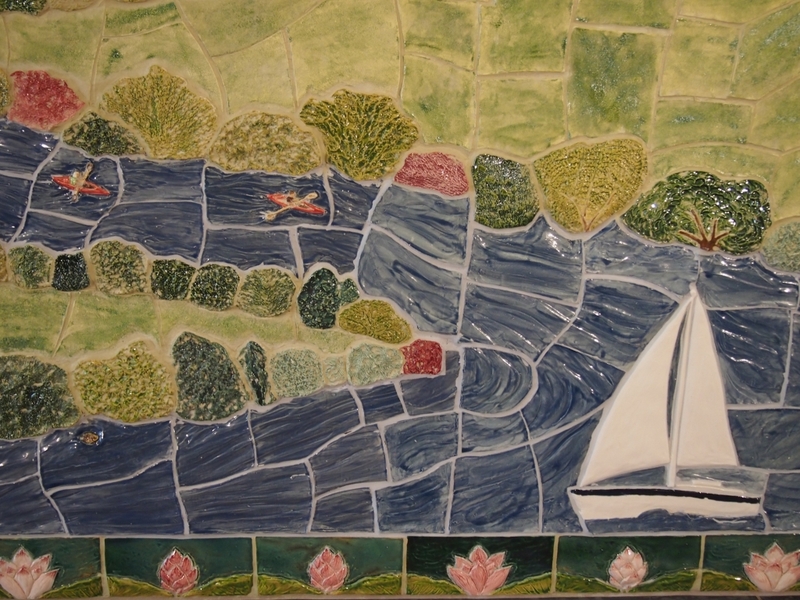 Designed to foster a spirit of calmness and contemplation, this 26 foot x 7 foot mural features recognizable local elements – horse farms, the Shenandoah River and Mountains, etc. 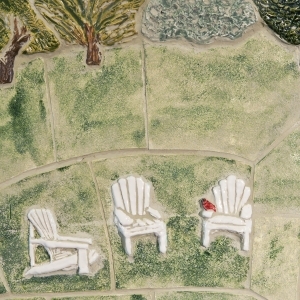 in an imaginary landscape tableau. 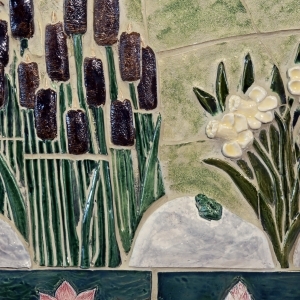 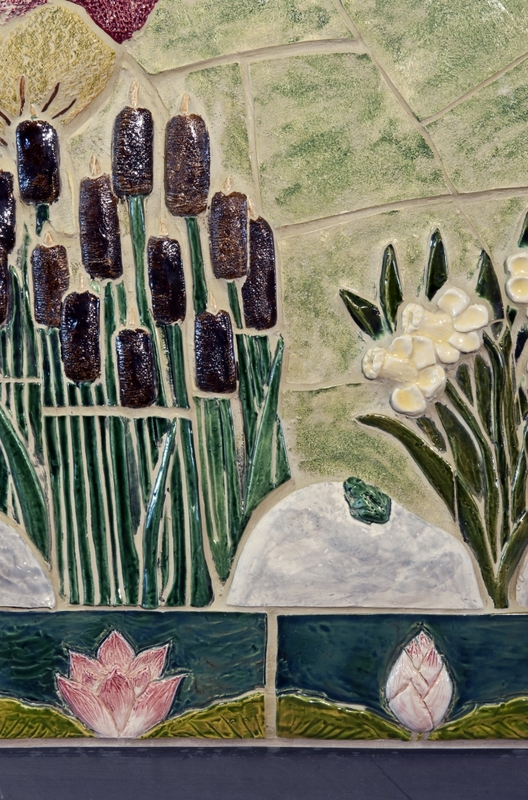 Sprinkled within the mural are a number of surprises: a beehive, a bird’s nest, a rabbit, insects and more, to engage and delight the viewer. 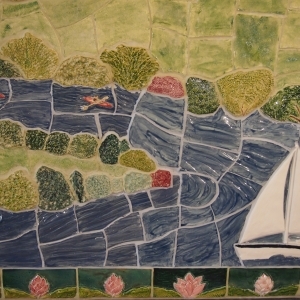 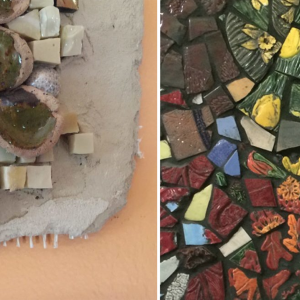 Karen is a wonderful, gifted artist…she is a fundraiser’s artist. 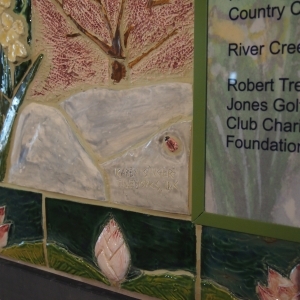 She understands the fundraising process. 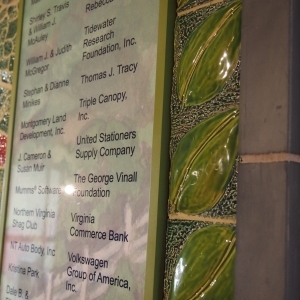 Over the course of the project, she served as an extra advisor to the development office; working with the staff to leverage giving opportunities through the donor wall.